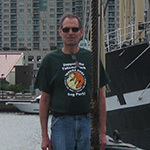 Kenneth C. Wenzer is an independent historian who lives in Takoma Park, MD. Dr. Douglas C. Peifer is a professor in the US Air War College’s Department of Strategy. His primary field of concentration is modern diplomatic, military, and naval history, with a special interest in the nexus between strategy, history, and contemporary international politics. This article draws on his 2016 book Choosing War: Presidential Decisions in the Maine, Lusitania, and Panay Incidents (Oxford U Press), with other publications on naval history appearing in The Naval War College Review, Orbis, European Security, Contemporary European History, War and Society, The Journal of Military History, and a book examining the dissolution of the Kriegsmarine and the origins of the East and West German navies (The Three German Navies, U Florida Press). 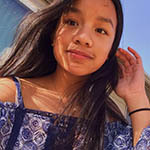 Vy Nguyen is entering ninth grade at Derby High School in Derby, Kansas. Vy has participated in National History Day for the last two years. For both years, she qualified for Nationals with a junior individual documentary. In the 2018 competition, her documentary “Sailing Away From the Turbulent Waters of Vietnam: The Overflowing Waves of Boat People” placed second in the nation. She chose to research Vietnamese Boat People because she wanted to learn more about her Vietnamese heritage. In her free time she loves to run, spend time with family, and travel the world! 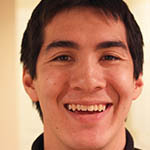 Roy Greim is the Assistant Director of Communications at his alma mater of Swarthmore College. In 2014, he graduated with High Honors after completing his studies in history and German. 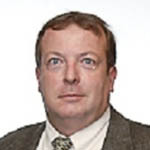 As an intern with the Naval History and Heritage Command in 2012, Greim conducted research on the U.S. Navy in the postbellum period, which later informed his thesis on the historical impact of the ABCD ships, the first steel vessels of the “New Navy.” Some of his other research interests include the rise of European nationalism and the intersection of sports and politics in America. 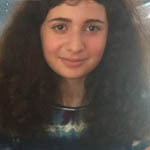 Zoe Friedman has recently entered the ninth grade at Woodrow Wilson High School in Washington, DC. Zoe entered in National History Day for the theme “Conflict and Compromise” in the junior essay division. She won second place nationally with her paper, “The Oyster Wars of Chesapeake Bay: How Regulatory Compromise Created Conflict.” Zoe is now in a variety in clubs at Wilson such as the school newspaper and robotics. She is looking forward to participating in National History Day this year with another paper. Lesley Parilla is Cataloging and Bibliographic Access Librarian with Smithsonian Libraries. From 2011-2016, she began worked as a cataloger and later cataloging coordinator for the Smithsonian Field Book Project. 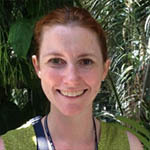 Lesley holds an Masters of Library and Information Science (MLIS) from the University of Hawaii at Manoa, with a certificate in Special Collections and Archives and a B.A. from Oberlin College.